Tectonic Theater Project, creators of the interview-based play THE LARAMIE PROJECT, will share “Moment Work” -- a devising process that explores and utilizes all the Elements of the Stage on an equal footing with the words (text). Participants will make “Moments” using gesture, props and text. The workshop will conclude by sequencing a few Moments, to glimpse how Tectonic creates a play from individual theatrical Moments. Please prepare participants by either reading THE LARAMIE PROJECT or watching the HBO film, available through HBO streaming. THE LARAMIE PROJECT follows residents of Laramie, Wyoming before, during and after the horrific beating and 1998 death of Matthew Shepard, a gay University of Wyoming college student. This horrific hate crime spawned an activist movement that, more than a decade later, would result in passage of a federal law: The Matthew Shepard and James Byrd Jr. Hate Crimes Prevention Act. Barbara Pitts was an original actor/dramaturg for THE LARAMIE PROJECT. 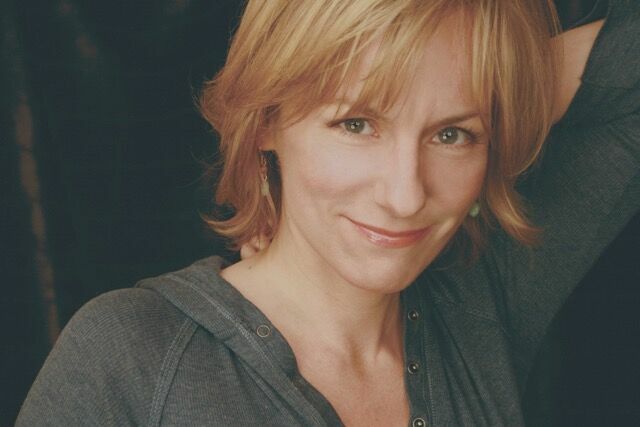 She shares an Emmy Nomination (Best Screenplay) for the HBO Film in which she plays Sherry Aanensen. Barb is co-author of the forthcoming book about Moment Work (Random House). Barb teaches Moment Work for high schools, colleges, and theater professionals. As an actor, she can be seen in AnyoneButMeSeries.com, about lesbian teens in the post 9/11 world. Favorite roles throughout her career include Blanche (in STREETCAR NAMED DESIRE), Lady Macbeth, and Juliet. TV credits include: Law & Order, SVU, Person of Interest, Forever, Comedy Central and a few daytime dramas. Tectonic develops innovative works that explore theatrical language and form, fostering an artistic dialogue with our audiences on the social, political and human issues that affect us all. In service to this goal, Tectonic supports workshops, full theatrical productions, and training for students around the country in our play-making techniques. Groundbreaking plays (THE LARAMIE PROJECT, GROSS INDECENCY: THE THREE TRIALS OF OSCAR WILDE, and I AM MY OWN WIFE, among others) have sparked national discourse about their subjects and have inspired artists and audiences worldwide.